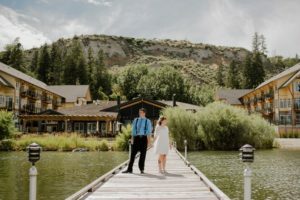 Tracy & Caylun’s Sunset Ranch Golf & Country Club was beautiful all around. I met with both Tracy & Caylun’s wedding parties to capture a very relaxed morning of getting ready with their closest friends and family. Nicola & Tyler joined me for a beautiful fall afternoon in Kelowna at Mill Creek Park. Probably one of my favorite locations to capture the fall season with so many leaves everywhere and an incredible waterfall that’s worth walking to. 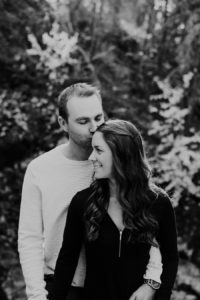 I’m excited to be a part of their wedding next year at the Quails Gate Lakehouse. 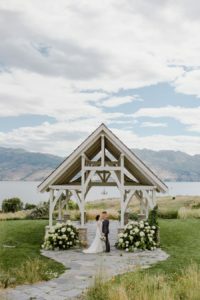 Robert & Rebecca had a beautiful wedding ceremony and reception at the Summerland Waterfront Resort along the lakefront. It was a day of some sunshine and a lot of rain. These two made it through the rainy day with big smiles on their faces. One of the biggest surprises being when multiple rainbows showed up throughout the afternoon/evening. Don & Kait’s wedding was such a beautiful day. 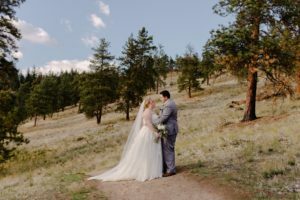 In the midst of fire season, the smoke cleared for their wedding in West Kelowna at Sanctuary Gardens and we had blue skies! 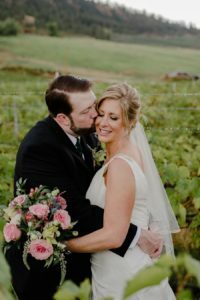 Vows were said and a party was had. Congrats to you both!